Fire in the North Sky features an outstanding musical trio who are all internationally renowned for creating new music which is both experimental and authentic, influenced by the oral traditions, textures and rhythms of runosong (folk songs from the Baltic region that share a particular poetic metre). All three musicians are at the forefront of folk music both in Finland and internationally, they are all lecturers in music at University of the Arts Helsinki, Sibelius Academy and also perform together in the band, Suunta. Within the ensemble, the show works with creative parity between all four artists with each of the artists having sections where they are featured, plus combinations of trios/duos and all four artists performing together. 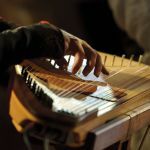 Timo Väänänen plays Finland’s national instrument, the kantele, he is viewed as one of the world’s leading kantele players and has written a number of books about the instrument. Timo featured as a soloist in the 2005 Disney film, The Chronicles of Narnia: The Lion, the Witch and the Wardrobe. 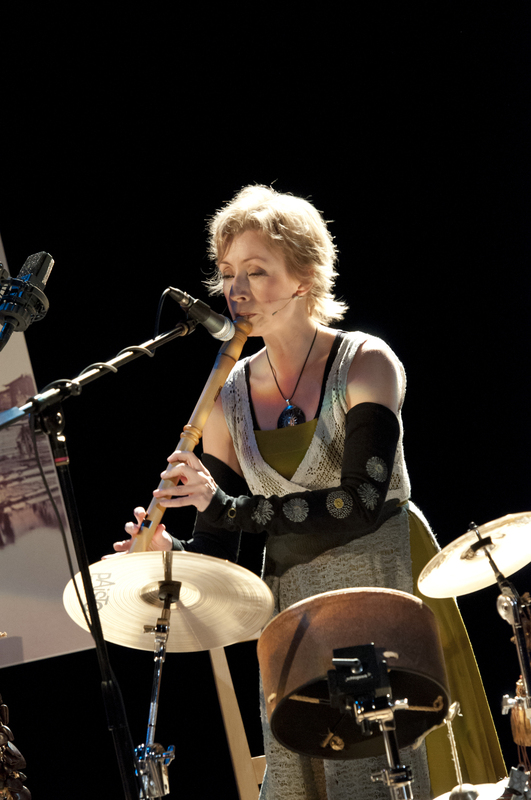 Kristiina Ilmonen (flutes, percussion, voice) is a musician, composer, teacher, researcher and folk music professional, with nearly thirty years experience in improvisation, cross-artistic collaborations and unusual performance arenas. 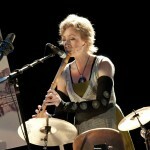 Her specialities are various folk winds and percussion, archaic Finnish tradition and improvisation. She is now the Professor of Folk Music at the Sibelius Academy and also moderates folk degree courses in the UK. Anna-Kaisa Liedes (voice) has been an integral part of the development of the modern experimental folk music scene for over twenty years. She is currently Head of the Folk Music Department at the Sibelius Music Academy in Helsinki and Senior Lecturer in Folk song. 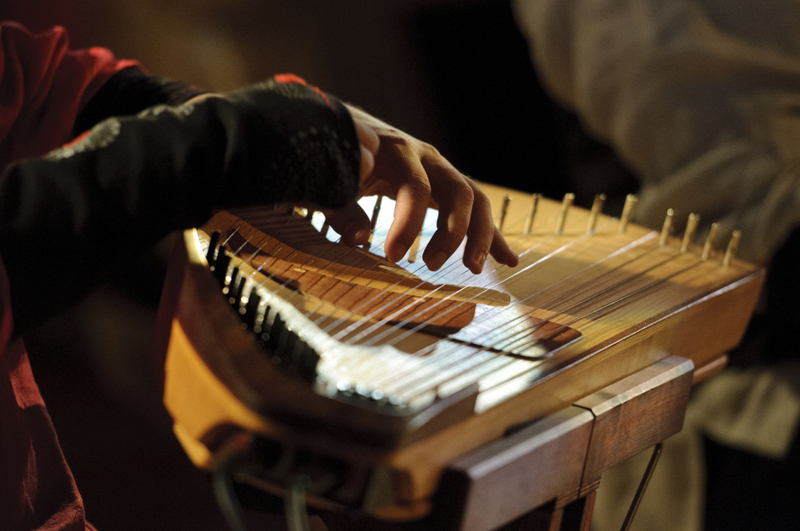 Besides Finno-Ugrian song tradition and kantele playing, she specializes in vocal improvisation, exploring the possibilities of the human voice. 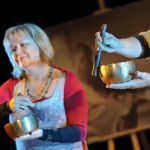 Improvisation – all four artists are expert improvisers and will subtly alter the way they perform depending on the audience, venue and atmosphere, making each show unique. 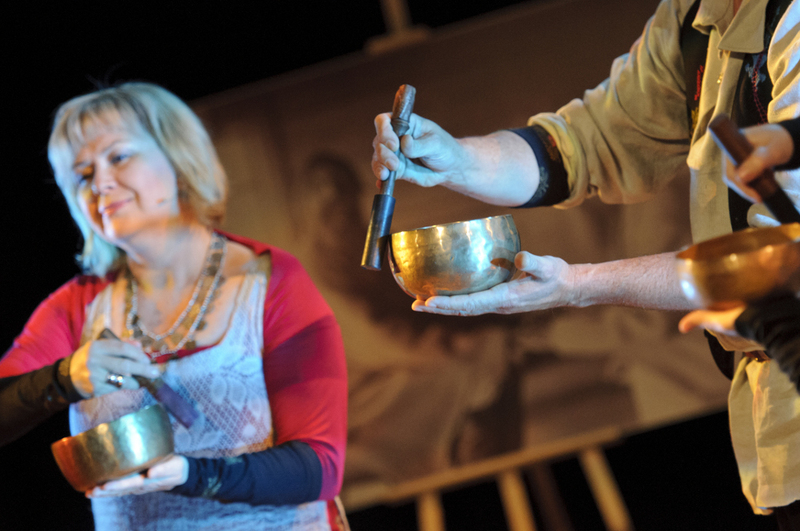 Audiences are amazed to hear there is any improvisation, as the quality of the performance is superbly polished.